Born in Henryville, Indiana, U.S.
Sanders worked many jobs including fireman, tire salesman, insurance salesman, and of course, a cook. Sanders cooked chicken dishes and other meals for people who stopped at his service station in Corbin, Kentucky. By 1937, Sanders had built Sanders' Cafe, which seated 142 customers. At this restaurant, fried chicken was the easily most popular dish on the menu. Fire destroyed the café, which was rebuilt as both a restaurant and motel. For many years, the restaurant and motel served as a popular stop for travellers driving along what was then the major north-south route. Due to the war fuel was rationed and tourism dried up. 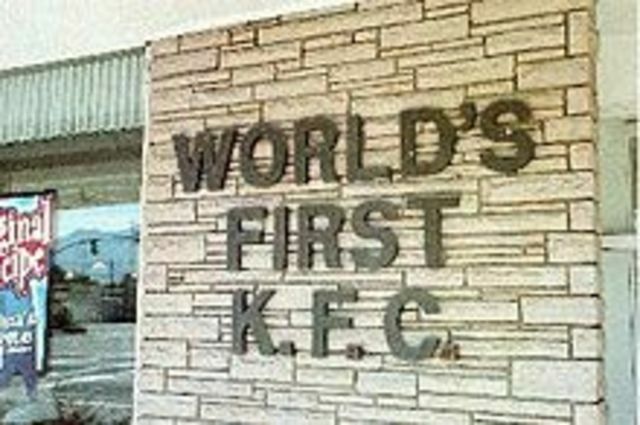 The first restaurant the chicken landed in was based out of Salt Lake City, Utah, which became the first Kentucky Fried Chicken. 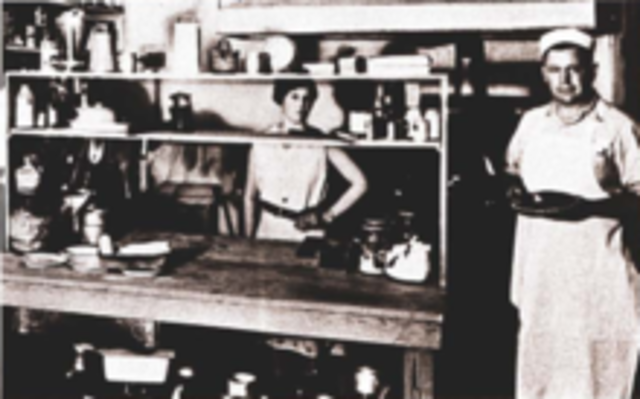 The restaurant tripled its sales within a year where 75% of that revenue was from the colonel’s chicken. 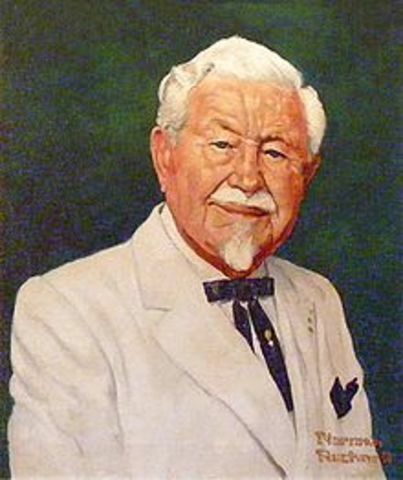 Around 1950, Sanders began developing his distinctive appearance, growing his trademark mustache and goatee with a white suit and black bowtie. In 1964, at the age of 74 years old, Sanders sold the company for $2 million dollars to a group of investors. He retained the rights to the franchises and stayed on as a salaried goodwill ambassador to the company. He passed away in a Jewish Hospital in Louisville, Kentucky of pneumonia on December 16, 1980 at the age of 90.